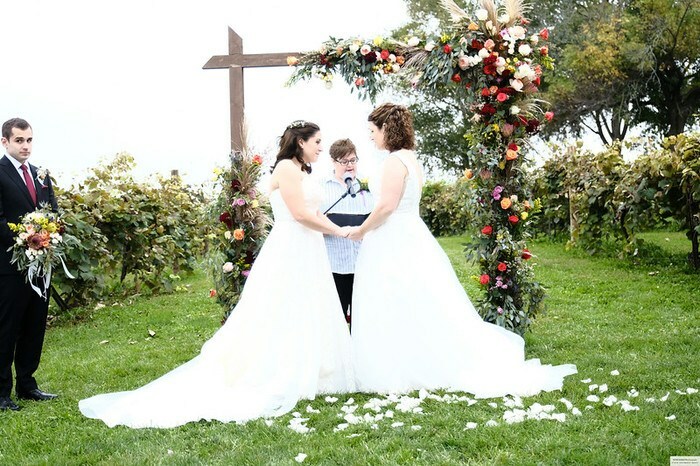 This greenery package includes classic green fillers like Lily Grass, Leather Leaf, Ivy, Israeli Ruscus, and Pittosporum to add lushness and volume to your wedding arrangements! 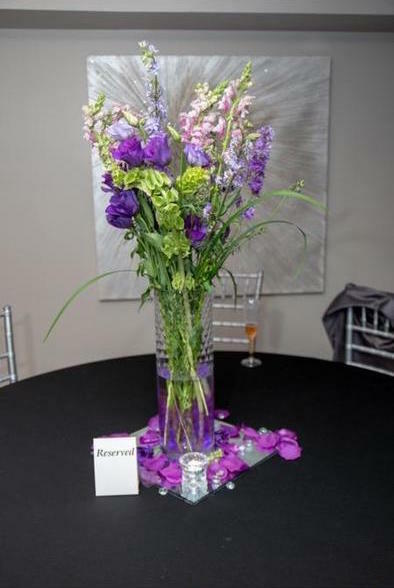 Our foliage is known for its award winning premium quality and long lasting vase life. 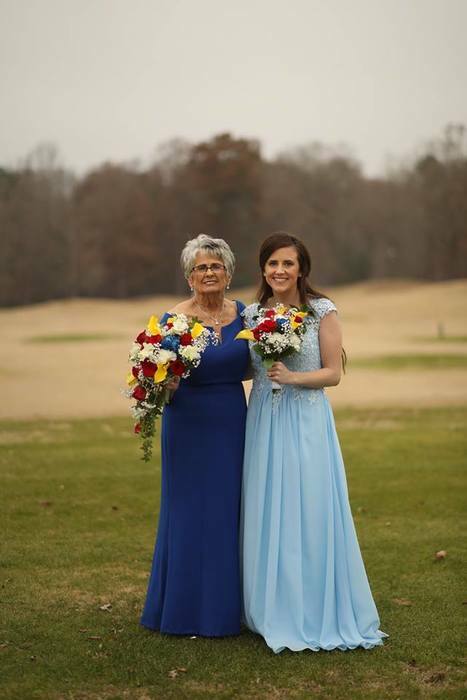 Choose from a variety of package sizes for the perfect look at your event! The greens included in this pack are: Leather Leaf, Lily Grass, Ivy, Pittosporum, and Israeli Ruscus. 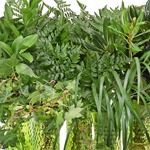 5 Bunch Pack - has 1 bunch of each greenery: Lily Grass, Leather Leaf, Ivy, Pittosporum and Israeli Ruscus. 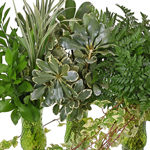 10 Bunch Pack - has 2 bunches of each greenery: Lily Grass, Leather Leaf, Ivy, Pittosporum and Israeli Ruscus. 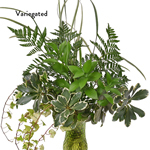 15 Bunch Pack - has 3 bunches of each greenery: Lily Grass, Leather Leaf, Ivy, Pittosporum and Israeli Ruscus. 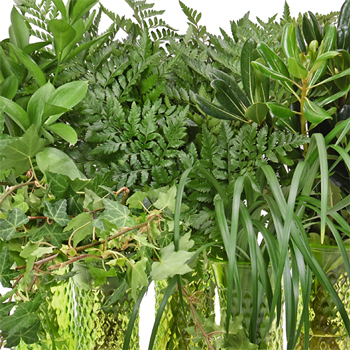 20 Bunch Pack - has 4 bunches of each greenery: Lily Grass, Leather Leaf, Ivy, Pittosporum and Israeli Ruscus. 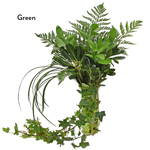 30 Bunch Pack - has 6 bunches of each greenery: Lily Grass, Leather Leaf, Ivy, Pittosporum and Israeli Ruscus.